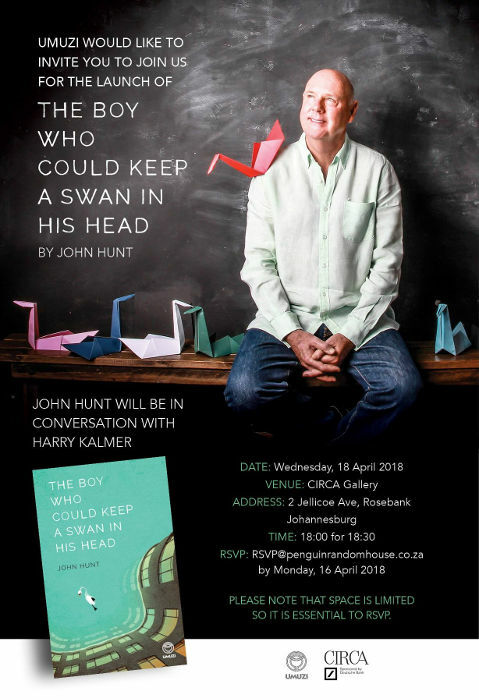 Umuzi invites you to the launch of The Boy Who Could Keep a Swan in his Head by John Hunt. The author will be in conversation with Harry Kalmer. RSVP: rsvp@penguinrandomhouse.co.za by Monday, 16 April 2018. Please note that space is limited so it is essential to RSVP.